The genre of the Book of Daniel is narrative history and prophetic oracle that includes apocalyptic material. In other words the Book of Daniel records history in a story-based chronological form, and contains prophecy. Future events including world destruction are revealed through visions and dreams which contain symbolic or allegorical language. The prophet Daniel recorded the material found in the book bearing his name around 530 B.C. shortly after Cyrus the Great, king of Persia captured the city of Babylon in 539 B.C. Daniel’s writings document the events of the Babylonian captivity in 560-536 B.C. They also describe the apocalyptic visions given by God. These visions not only reveal the events and plans for the Jewish people but for reigning empires from the time of the Babylonian captivity to the establishment of the Millennial Kingdom. The theological theme of the Book of Daniel is summarized in chapter 4 verse 17 and chapter verse 21: The Most High is sovereign over the kingdoms of men. Aramaic and Hebrew are the two languages used in Daniel. Hebrew is used in Daniel 1:1 to Daniel 2:4a and Chapters 8 through 12, Aramaic is used from Daniel 2:4a to 7:28. The Aramaic language was the common language or lingua franca, used in Assyrian, Babylonian and Persian communication. Aramaic is found also in the Ezra 4:8-6:18, 7:12-26 and Jeremiah 10:11. Daniel message was not only to the Jewish people, but to the nations. Aramaic in Daniel’s day is equivalent to English in our day. Daniel 2:4 to 7:28 would be accessible to any literate, Greek, Babylonian or Jew in Daniel’s day and later. There are several ways to divide the Book of Daniel. The most popular is to divide Daniel into 2 halves, Chapters 1 to 6 and Chapters 7 to 12. The first half is historical while the second half is apocalyptic or predictive. Chapter 1 is viewed as an introduction. Another division is to view the Aramaic section Daniel 2:4 to 7:28 as the message to the nations, with the Hebrew portions Chapters 1 and 8 through 12 as a message to the Jewish people. • In chapters 1-6, Daniel writes about his own life in captivity. He was selected to work for the Babylonian King Nebuchadnezzar. Daniel (or his Babylonian name Belteshazzar), and his friends made bold and difficult decisions. Several times they displayed their integrity to stand for godliness instead of a pagan culture. They rejecting the king’s food, prayed when it was illegal to do so, and refused to bow to the king’s idol, for which they were thrown into a scorching furnace. Daniel interpreted the king’s dreams twice then was promoted as chief over all the wise men in Babylon. Yet, through all the great things that Daniel did He claimed it was God that did it through him and he gave all the glory to God, “It is He who reveals the profound and hidden things; He knows what is in the darkness, and the light dwells with Him” (Daniel 2:22). • Chapters 7-12 contain the visions that Daniel received from God and the events that are involved in his prophetic ministry. A portion of these includes the results of the earthly kingdoms that he lived in. 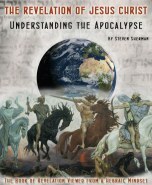 They also mention the coming Messiah and the apocalyptic events to come. “As for me, I heard but could not understand; so I said, “My lord, what will be the outcome of these events?” He said, “Go your way, Daniel, for these words are concealed and sealed up until the end time” (Daniel 12:8-9). The opening verses of Daniel succinctly give the historical setting which includes the first siege and capture of Jerusalem by the Babylonians. According to Daniel, this occurred “in the third year of the reign of Jehoiakim king of Judah,” or approximately 605 B.C. The second siege and exile of Jews took place in 597 B.C. and included the prophet Ezekiel. While the third at last siege by the Babylonians took place in 586 B.C. included the destruction of Jerusalem and the temple. The capture of Jerusalem and the first deportation of the Jews from Jerusalem to Babylon, including Daniel and his companions, were the fulfillment of many warnings from the prophets of Israel’s coming disaster because of the nation’s sins against God. Israel had forsaken the law and ignored God’s covenant. They had ignored the Sabbath day and the sabbatical year. The seventy years of the captivity were, in effect, God enforcing the Sabbath of the land, which Israel had violated, in order to give the land rest. Israel had also gone into idolatry and they had been solemnly warned of God’s coming judgment upon them because of their idolatry. Because of their sin, the people of Israel, who had given themselves to idolatry, were carried off captive to Babylon, a center of idolatry and one of the most wicked cities in the ancient world. It is significant that after the Babylonian captivity, idolatry never again became a major temptation to Israel.